But what if you like the idea of a dedicated fitness tracker, but you’re on the fence about buying one because but you don’t want to drop $60 or more for a doo-dad that might end up on the junk drawer after two months of increasingly guilt-inducing non-use? It you have a fairly modern smartphone, you may already have a basic fitness tracker right there, thanks to the motion chip and other sensors inside. These technobits let the phone double as a pedometer, and may even be able to show you other things like your walking routes on a map or the calories burned during your stroll. The only thing you need to buy is (maybe) a special app for a couple bucks, if that much. Granted, your phone may not be as rigidly precise as a dedicated pedometer or other fitness band, but for many people, it’s close enough and the price it right. So take, for example, Google’s Nexus 5 phone. It’s one of the many phones out there with pedometric capabilities. You just need one of the many fitness apps available in the Google Play store that lets you graphically display the data that your phone’s collecting. 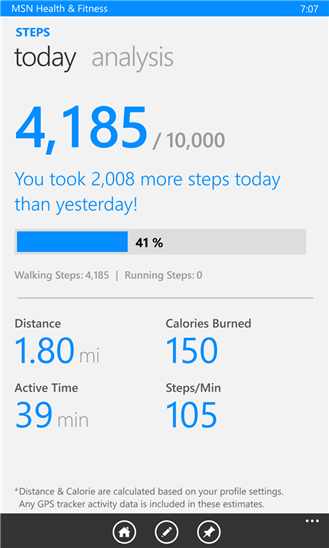 The Moves app (free, easy to use and shown here), and one helpfully called Pedometer, are two Android options. You have plenty of programs to choose from, both free and paid – with usually means more features and no ads. 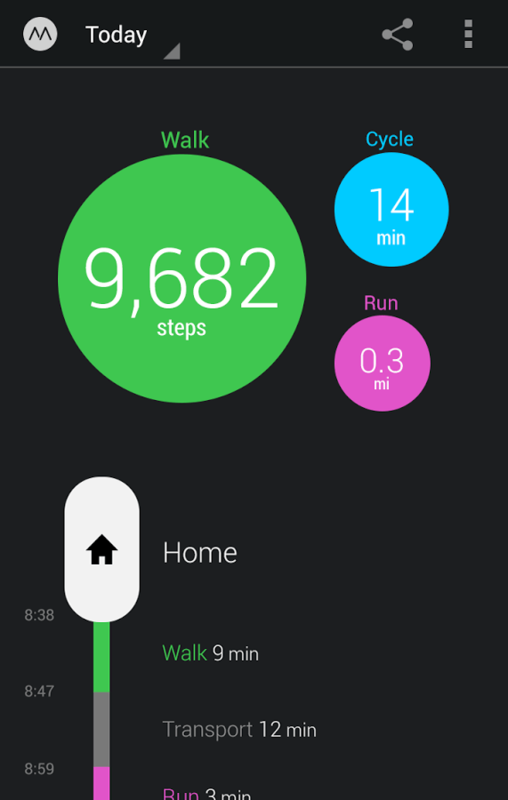 Many other Android phones can also use these types of fitness apps, so do a search for “fitness trackers” and check the Play store description to see if it’s compatible with your device. Also Club Android: the Samsung’s Galaxy S5, (left), which has heart-rate sensor, a pedometer and S Health software for tracking your fitness routine; the Galaxy S4 is also privy to S Health. And then there’s Apple. 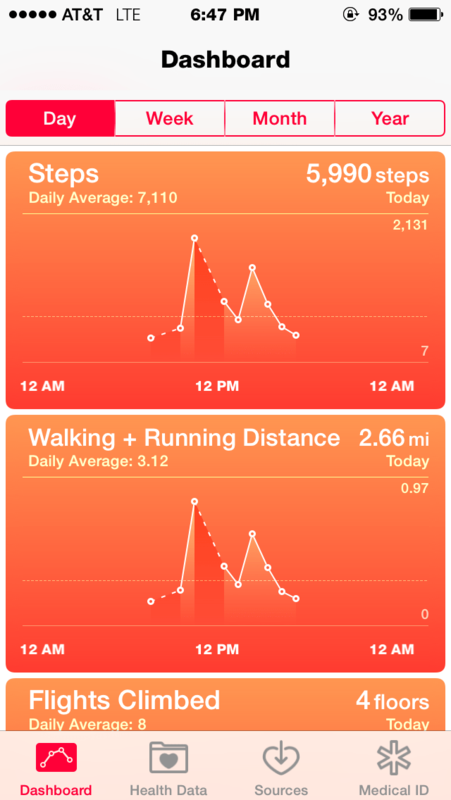 The new Health software baked into iOS 8 tracks your steps automatically as you carry the phone around and can show you your step-count and stairs climbed on a daily, weekly, monthly or yearly basis. The App Store has a dedicated section for programs that hook specifically into the iOS 8 Health software, as well as a large collection of health apps that work with earlier versions of iOS and older devices. And don’t forget, many later versions of the iPod Nano and iPod Touch work with the Nike + iPod shoe sensor and Nike+ fitness website, and the past several versions of the Nano even had a basic pedometer built right in that doesn’t need any additional gear. And who knows, once you get into the swing of logging your exercise, steps and other info, you may realize that you really want a dedicated fitness-tracking device — or that your phone works just fine for the data you want to collect.